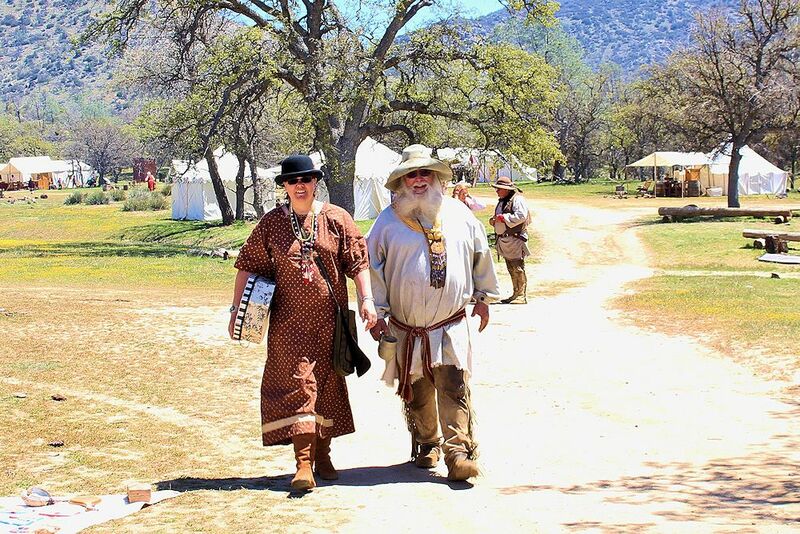 History comes to life at the 23rd Annual Battle of Round Mountain Reenactment on February 14-16, 2020 in Yale, Oklahoma. The Winter Encampment and Battle of Round Mountain Reenactment recreates a winter encampment of the Civil War era. This event takes place over three days, with living history Union and Confederate soldiers setting up opposing camps on Friday. Saturday & Sunday; 9 a.m. to 5 p.m. Directions: 4 miles west of Yale, at intersection of Hwys 51 and 18, take Hwy 18 north for a 1/4 mile. Event will be on the right. Teachers bring your class for living history. Hundreds of students from dozens of schools will get a little bit of Civil War history on Friday. School children will see how field hospitals treated battle wounds in the Civil War where more soldiers died from disease than wounds. They will see cannons and muskets, and learn the difference between cavalry sabers and soldier swords. They will see how teenagers 150 years ago dressed. 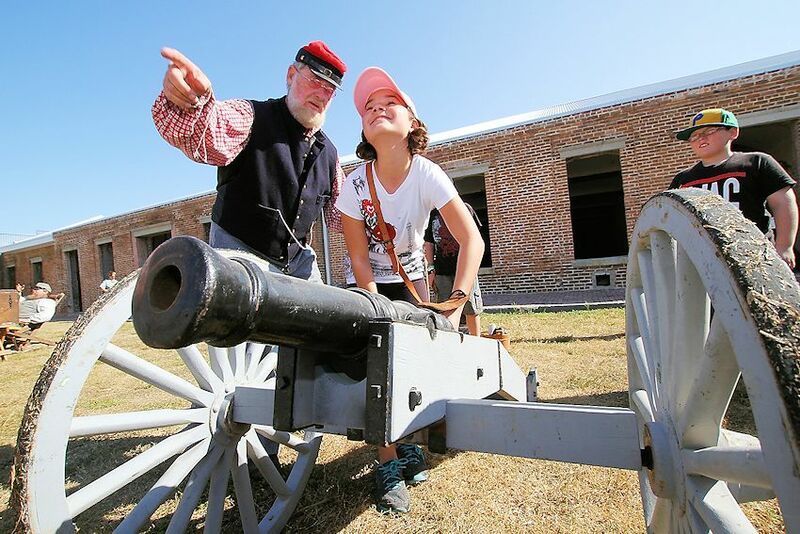 Hear the blast of cannons and smell the smoke of musketry when the Battle of Round Mountain Reenactment begin at 2 pm Saturday and Sunday with horse-mounted soldiers joining the infantry in battle, along with staged hand-to-hand combat. The battle area is a natural amphitheater a few minutes walk from the camp that will allow visitors to watch the fighting and feel like a part of the action. Visitors are invited to witness as Confederate and Union soldiers slowly advance towards each other on the battlefield. You will see the soldiers of both sides as they prepare to fire cannons, and watch the battle as smoke fills the air from the muskets and cannons. Visitors should bring lawn chairs or blankets for extra seating. Recall the romance of the Civil War at a Reenactment Ball in the Yale old high school gym Saturday night. Everyone is encouraged to dress in period attire, but everyone is welcome regardless of dress with plenty of seating for those who just want to watch. Dancers will swirl around the dance floor as band plays music appropriate to the period. Vendors in period dress will set up tents and sell their wares on church grounds to both participants and visitors from 10 am to 3 pm Friday and 9 am to 4 pm Saturday and Sunday. Reenactors will find clothing and gear to enhance their “persona”; visitors can purchase items as reminders of the sights and sounds of the Battle of Round Mountain Reenactment. Food vendors offer food from the era for those whose appetites reject hard tack and salt mule. There will be several modern food vendors, too. In addition to the Winter Encampment, the Jim Thorpe Memorial Foundation will also hold a month-long quilt show throughout February. Those who wish to participate may bring a quilt to the nearby Jim Thorpe Home for display. The public will vote and prizes will be awarded. The Battle of Round Mountain is listed as the first battle fought in Indian Territory during the Civil War. This historic battle fought in Payne County saw approximately 1,400 Confederate soldiers under the command of Colonel Douglas H. Cooper pursue roughly 9,000 Unionist civilians led by Opothleyahola, a famous Upper Creek leader. These civilians were attempting to avoid an alliance with the Confederacy and ultimately chose to flee to the protection of Union forces in Kansas. Colonel Cooper set out on November 19, 1861 in an attempt to coerce Opothleyahola into submission. Each February, the town of Yale comes alive with the Battle of Round Mountain Re-enactment. Mark your calendar today so you don’t miss the next Battle of Round Mountain Reenactment in February in Yale, Oklahoma.